It is a scenario that all of us who work in modern offices are familiar with. The dreaded moment when you find out that your team is going to need a new person! Is a member of your team moving on to something new? Perhaps they have been promoted to an exciting new role in the company or maybe they are jumping ship completely? Whichever it is you can say goodbye with humour and a smile by sending out “Bad Vacancy”. As well as featuring a humorous quotation on the front of the ecards, “Bad Vacancy” also has plenty of space in the inners of the ecard for you to customise and add text as you require. We also allow you to have some extra design space in order to add your own company logo to the business ecards. That way, the person who is moving on knows exactly who this card is from and can remember their time with your company even when they have moved on in their own. 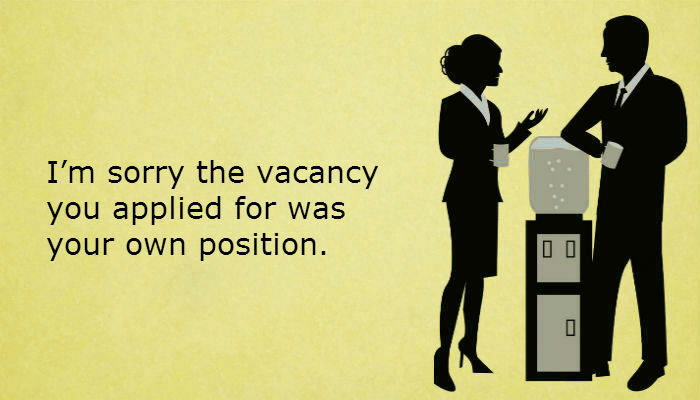 So don’t be vacant when it comes to saying goodbye to a much appreciated colleague, send them our “Bad Vacancy” ecards and say farewell with a big smile on your face; making sure that you have one firmly on yours too! Do you know who looks after your holiday marketing needs every Christmas time? If so please do share our details with them so that they can use our holiday ecards for business.